Nowadays, most people cannot afford to buy a home using cash. That’s way, first-time buyers, in particular, need a mortgage to purchase the desired property. So far, so good. However, those who have already been through this process know that it is not a piece of cake. Most borrowers just search on the net or contact different banks without having a concrete idea. The application process requires patience and good preparation on your part. What if the answer to your application is “No”? You have the right to ask yourself this questions since banks decline a large number of the applications. Despite the fact the approval of your application depends on many factors, you can become an active participant in the process. 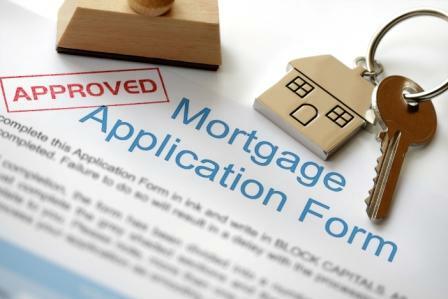 In this article, you will find some precious advice on how you can improve your chances of getting a mortgage. Let’s follow these simple steps and increase your chances of approval. Presumably, your credit score will play the biggest role in determining your chances of getting approved. Typically, first-time buyers would need a credit score of at least 650 to qualify. Keep in mind that this may vary depending on the lender and your situation (other loans, income, history, etc.) If you have a good credit score (See how to achieve a great credit score), you shouldn’t be lying on the beach and waiting to be approved . Get some work done to increase it even more. The terms, interest rate in particular, depend on the credit score. The higher the score, the lower your interest rate will be. Given the fact that mortgages are long-term loans (25-30 years), you can save a lot of money on interest payment. If you don’t understand how to get your credit score – you can start here. The thing that affects credit score the most is your payments on other loans. If you have missed some in the past, this will have a negative effect on the score. In addition, if you have credit cards, pay down the balances. Also do not apply for other loans; this will certainly lower your credit score. Missing or late payments will certainly have a negative impact on your chances of getting approved. This does not only include loan payments but all sorts of bills. Rest assured, your lender will check this out. Also, having already been through the first step, you know that this will lower your overall credit score. Down payment is the initial amount of money a borrower should pay when purchasing something on credit. When we talk about mortgages, the down payment is usually around 20% of the property’s value. Of course, it depends on how much the borrower can afford to pay. The rule is simple: the more, the better. If you pay 25% or even 30% down payment, the chances of getting approved increase a lot. This shows your commitment as well as financial discipline. It means you are a reliable borrower. In addition to that, this means that the amount of money you actually borrow will be lower. The higher the loan value, the higher the risk for the lender and more you’ll end up paying in interest. If you cannot afford to make a down payment of 20%, you will have to pay for a Private Mortgage Insurance (There are more ways to avoid the PMI). So, a larger upfront payment will also save you this extra cost, which will be added to your monthly payment. Only if you take out an FHA mortgage (a loan insured by the Federal Housing Agency), you will be able to go without this mandatory insurance. Available credit is the amount of credit you haven’t spent. You can calculate it simply: your credit limit minus credit balance, and you will see the amount you can spend freely. If you have several credit cards, you have to calculate it for each one of them. This available credit is an important indicator which banks use to assess potential mortgage borrowers. Even though there is no rule of thumb, many experts believe that the credit should be twice the size of your current debt. For instance, if your credit limit is $20,000, your debt should not exceed $10,000. Try not to lower your credit limit too much as well as don’t keep lots of available credit. You have to find the balance between them. It’s a good idea to cut back on your spending prior to your mortgage application. Well, these days, banks check almost all details about a person’s financial situation. They can also go through your bank statements for a certain period to see your purchases. Don’t worry, they don’t care what you buy but rather they want to see whether you can afford a mortgage. They want to make sure you’ll keep making regular payments should the rates rise in the future. Usually, lenders would like from you bank statements for the last three months. Keep in mind, that this differs from one lender to another (See how to find the best mortgage lender). Instead of buying things you don’t need, why not put some money aside for a larger down payment. Kill two birds with one stone. Check out some of the best budget apps for 2018: Mint, PocketGuard, GoodBudget, and HomeBudget. We take the monthly debt payments and divide the sum by the gross monthly income of an individual. The lower the ratio, the better the result. It shows that you can manage your obligations quite well and they are just a small fraction of your income. The desired result is 36% or even lower. In addition, less than 28% of the debt should be mortgage payments. A DIT between 37% and 49% is not brilliant, but still manageable. Somehow, you need to find a way to lower it up to 43%, which is usually the highest DIT that your lender will accept. Forget about anything higher than 50%. If your obligations are more than 50% of your income, it’s impossible to take out a new loan, let alone a mortgage. Make sure you ask the lender all the right questions and get ready for every scenario. Actually, there is no magic here. You can do two things to achieve this goal. The first thing is, of course, to lower the amount of debt – don’t purchase as many things as you want to. The second thing you can do is increase the money you earn. Perhaps, this may require a second job or additional hours at your current job. The US government helps first-time buyers to qualify for a mortgage. These are the so-called FHA and VA mortgages. Any home loan that the Federal Housing Agency guarantees is known as an FHA mortgage. This program requires less strict qualifications. For instance, a person can qualify with a credit score as low as 580. Also, you can make a very small down payment – 3%. No minimum income is required and you can apply even if your DIT is close to 50%. In return, you will pay an extra charge each month – money which will be included in the monthly payment. Much easier to qualify for a VA loan than a conventional one. The last thing (or the first) you can do to better your chances are to find a person who is willing to cosign your application. A cosigner is a person who agrees to pay off your debt in case of a default. This will definitely make your application stronger. Missing or late payments will affect your cosigner’s credit score as well as yours. Nowadays, purchasing your own home is no mean feat and people often need a loan to do it. Even though you need to meet (sometimes quite strict) criteria, you can always actively participate in the process. Certainly, there are quite a few things you can do to significantly improve your chances of securing a mortgage. Having already been through them, you do realize how important each and every financial decision you make is. Brace yourself and follow the steps, and the “Yes” will be waiting just round the corner.